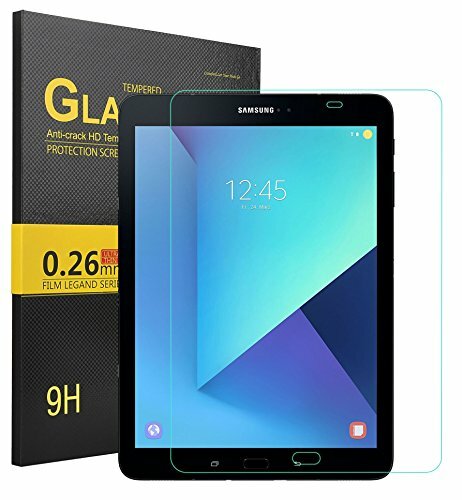 Protect the screen of Samsung Galaxy Tab S3 9.7 with the best Screen Protectors. 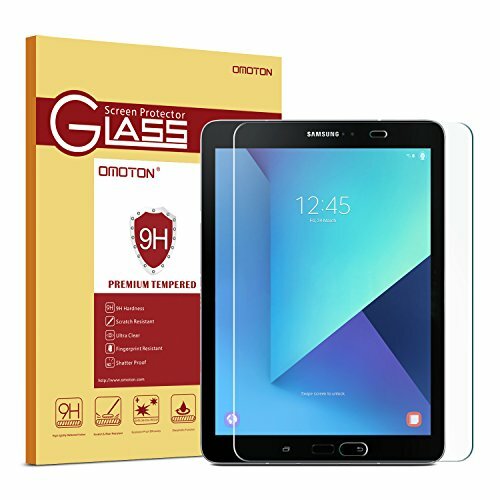 Find the collection on Tempered glasses and amFlim screen protector for Galaxy Tab S3. We have already suggested Best book covers and cases for Samsung Galaxy S3 Tab. Now we are bringing the collection of Samsung Galaxy S3 tab’s screen protector. That will not only give you the best protection along with best touch sensitivity and HD picture quality. 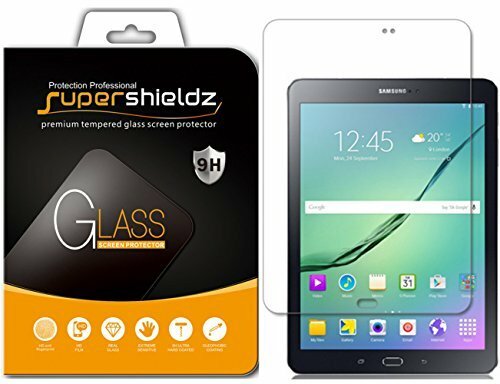 Apart from qualities, those are mentioned above, you will also get the easy installation process from all these screen protectors for Samsung Galaxy S3 Tab. The supreme aim of having a screen protector is to keep the tablet’s screen safe from baking from any scratches, dirt, high impacts and even from the dust. These screen protectors serve those purposes very well. Let us begin this exclusive list for the best screen protectors for Samsung Galaxy Tab S3 with a product from the very well-known brand, Fintie. This screen protector is very easy to install and even to remove and it will not leave any residue once after the removal. What’s more? Well, it offers bubble-free installation and will also give you rainbow free clarity. It is a 9H hardness glass that gives protection against scratches, crash, and shock-resistant. The 0.33mm ultra-thin glass that offers high responsiveness. The 99.99% light transmission ratio lets you enjoy the viewing experience with more brightness and less glare. The oleophobic coating makes keep the screen smudge free. This is ultra-thin tempered glass adds no bulk to the screen of a tablet. It is a combo kit, so no need to purchase any accessory. Easy installation, no need for manual. After installation of this screen protector, you may find case doesn’t fit perfectly. Now, let’s have a look at one of the leaders of the smartphone’s accessory world. 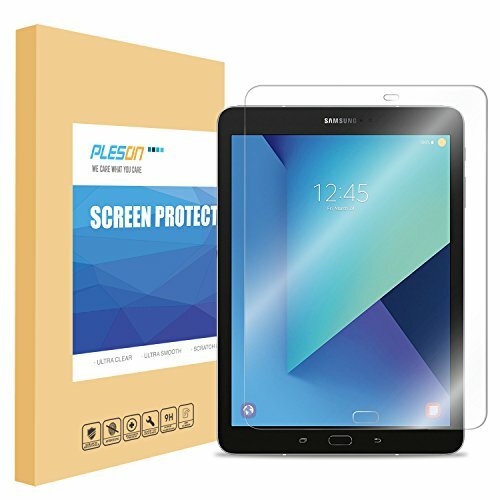 Hence you can trust this screen protective film to protect your Galaxy S3 tablet’s screen from scratches, dust, dirt and also fingerprint impressions without any trouble. Sparin offers thin screen protector that is S pen compatible and gives you an immersive experience. The precise cuts and design attached to the screen smoothly and secures against scratches. Gives 99% high definition clarity. 99% light transmittance and explosion proof 9H hardness. This combo kit includes a display protector, three guide sticker, two cleaning wipe, microfiber cloth, dust-absorber, one installation manual, and the thanks card. Gives complete coverage protection to the tablet’s screen. Placing and installing it painless. Lightweight and crystal clear clarity it offers. Lifting and Repositioning of this glass can leave residue on tablet’s screen. OMOTON is another brand that you can trust, and this is why it got placed on this exclusive list of screen protectors. So one can easily imagine the brand and purchase the accessory. So now feel free about the product as just in case and grab one for the best protection of your tablet’s screen. The laser cut dimensions of screen protector provide maximum protection for the screen. This 9H hardness tempered glass featured with a bubble-free adhesive that makes the installation. The 2.5D rounded edges offer smooth feeling at all the edges. It is equipped with HD retina clarity for high transparency and high definition clear viewing. Hydrophobic and oleophobic coating provides protection against sweat and residue. As it is 0.26mm thick, it maintains the original response sensitivity. Bubble free installation because of the superior quality Japanese made Epoxy resin glue is used. This is a little bit of costly. Sometimes may not help cut down the glare. If you apply this screen protector from well-known brand SuperShieldz, you will get three side protections. 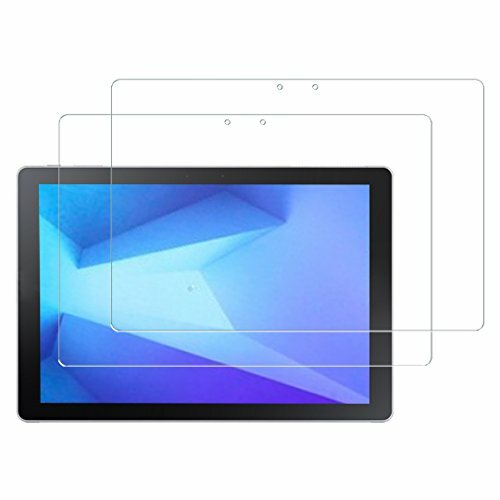 So leave your worries about the protection of your tablet’s screen, because it is also featured with tons of useful features that not only protect the screen of your tab but even give the complete fun to enjoy crystal clear view of the screen. Featured with quality 9H hardness to protect against high impact drops. It is furnished with anti-fingerprint and anti-scratch mechanism. 99% HD clarity and keeps the original touch experience. The brand even offers lifetime replacement warranty. Fits well to the screen. Poor adhesive on guide stickers which make the installation on first attempt futile. 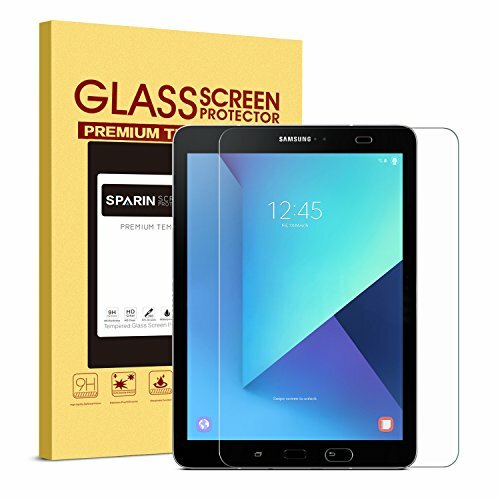 You will get the highest quality tempered glass for Samsung Galaxy S3 Tab if you install this screen protector on your Galaxy S3 tab that means the screen of your device always remains scratches free. So we bought the screen protector from the Pleson brand that is opt rated and even gives a lifetime warranty. What else we need more? This tempered glass is precisely cut with the laser technology. The thickness of this glass is only 0.3mm and the 2.5D rounded edges have smooth edges. The Hydrophobic, Oleophobic, and electrocoating surface prevents the screen from sweat, particles, oil and water residue. It is Japanese exclusive processed glass to ensure maximum protection. This anti-shatter film offers a no-hassle warranty. Perfect match to the screen size. Easy install stickers make installation of this screen protector easy. It doesn’t offer that much excellent responsiveness to the S Pen. Here comes another leader of the smartphone accessories that comes with lifetime warranty. So if you find any issue with this screen protector so simply get the hassle-free replacement of it anytime. The quality of this screen protector is the world class 9H standard to offer protection from scratching. 9H hardness glass protects the screen from any high impact. You will even get shatterproof security as well. The brand giving the oleophobic anti-fingerprint coating on the film, so besides just fingerprints, your screen will even remain dirt-free and dust-free. The laser cut mechanism makes it a perfect fit to the screen. HD clarity and touch sensitivity are excellent. This is a pack of 2 screen protector. Have two screen protectors while paying for one only. Cuts perfectly and adheres so that it fits well to the Galaxy S3 Tab. It is S Pen compatible. 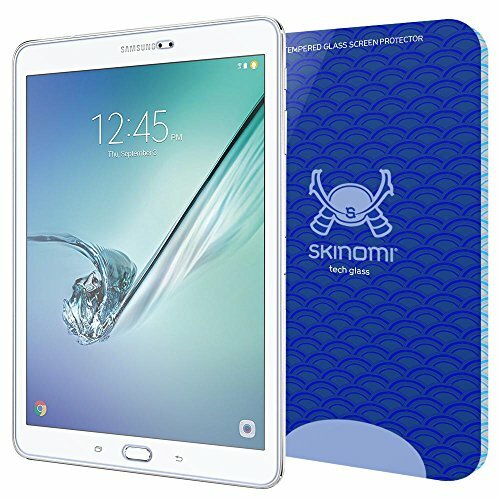 If you want to purchase the best screen protector for your Samsung Galaxy S3 Tab of which the glass is a shield with ballistic tempered glass, then Skinomi should be your choice. This another very well-known brand, so you can blindly trust it and the quality of their products. It is featured with tons of fantastic things. It uses 9H hardness ballistic tempered glass shield that is designed to secure the device against even the most brutal of impacts. It offers 99.9% of high-definition clarity. The ExTouch capabilities let your device’s touchscreen to remain completely responsive. This screen protector even features an electro and oleophobic coated surface, which prevents a screen from unwanted particles from nesting on the surface of the protector. Their rounded edges provide unmatched protection. The shatterproof mechanism makes sturdier. If the installation is not perfect, then you can have air bubbles on the screen. Another big name in smartphone accessories manufacturing is bringing its product to protect your Galaxy S3 tablet. KuGi screen protector offers maximum protection to your tablet’s screen. So get all the best possible protection for your Galaxy S3 Tab from this screen protector. This 9H hardness screen protector makes the screen mate the world’s strongest and toughest screen protector. It is even featured with 99% Retina clarity and touchscreen accuracy. This 100% bubble-free adhesives coated with oleophobic coating reduces smudges and fingerprints. This screen protector takes you a fabulous look and feel. Bubble free and frustration free installation. While any impact is made, the screen gets minor scratches. The screen protector we are now presenting is incredibly and amazingly thin, so you can get the ultra-HD clear images and also the real touch feeling after the installation. 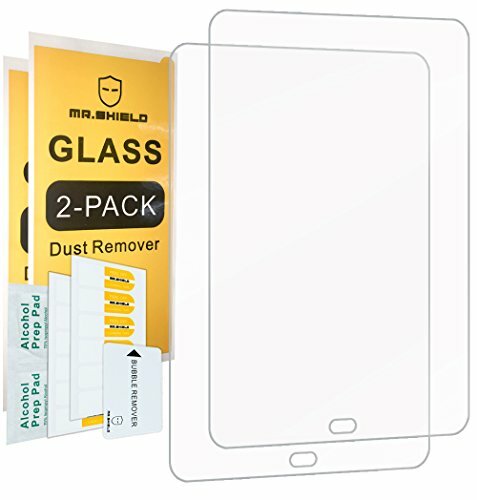 Mr. Shield offers one of the best screen protectors, as it is a well-known brand you will get the great screen protector from this famous brand. It protects your device’s screen from scratches and from the high impact drops. As the surface is featured with 9H hardness makes this screen protector durable too. Precise laser cuts with polished and rounded edges will provide excellent protection to the screen. 99% HD clarity and touchscreen accuracy. You need to pay for only one and get two screen protectors. Lifetime replacement warranty makes worry free use of it. 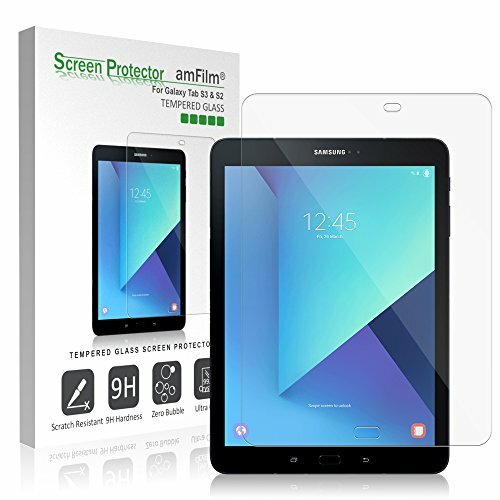 Get the crystal clear view of this amFilm screen protector once installed on the display of your Galaxy S3 Tab. 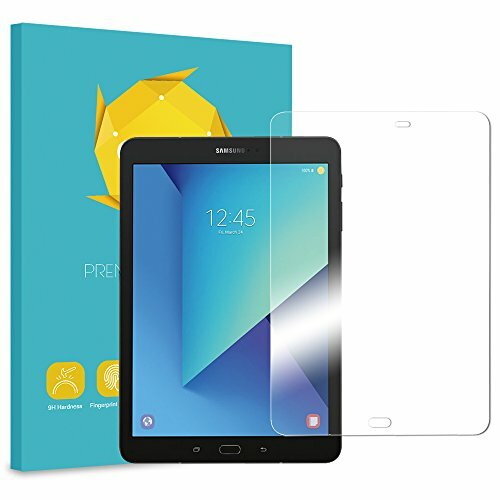 What makes this screen protector from amFilm different than the others is that? It has 2.5D rounded edges. Apart from this it even offers few more fantastic screen protectors. Ultra-clear with 99.9% transparency for the natural viewing experience. Highly durable and scratch resistant as it is 9H tempered glass. The 2.5D rounded edges will give the smooth feel at your fingertips from the corners. This fantastic screen protector is ultra-thin 0.33mm thickness that is reliable and resilient and also promises complete compatibility with the touchscreen. You will get one screen protectors along with micro-fiber cleaning cloth, squeeze card and installation guide in one pack. Far better than the plastic. Even doesn’t interfere with the stylus. It has polished glass that adds little reflectiveness. Price: $9.99. Trust, you will like this Best Screen Protector Samsung Galaxy S3 Tab collection. Provide us your shout on these products here.